CASCADES St. Lucie West is an active 55 Plus community in Port St. Lucie, Florida. CASCADES features one story Mediterranean style single family homes. Resale prices vary depending upon floor plan, size, view, age, condition, updating and remodeling. CASCADES average home price range between $229,900 to $399,000. Homes in CASCADES size range is between 1257 and 2500 living square feet. The average home is about 1855 square feet. Homes were built between 2001 and 2007. The smallest homes in CASCADES is "The Gorham" offers two bedrooms, while the larger floor plans have a three bedroom or two bedrooms plus den. Homes feature open floor plan with spacious kitchen, dining area, large master bedrooms. CASCADES homes have two car garage, upgraded concrete Spanish roof tile, city water and sewer system, energy efficient natural gas throughout the community, 24 hour manning of guardhouse, monitoring alarm system, basic cable television service. Some homes offer screened lanai and covered patio or extended. Each home has panoramic views of the preserve, lake or privacy wall of CASCADES St. Lucie West community. St. Lucie West is the location of the New York Mets spring training program. Residents will find an enticing selection of restaurants in the area, ranging from light meals and fast food to gourmet dining. Nearby shopping venues include mainstream consumer retail outlets, shopping mall and specialty boutiques. The community is conveniently located minutes away from movie theaters, house of worship, post office and much more. Three nearby Port St. Lucie hospitals, Lawnwood Regional Medical Center, St. Lucie Medical Center and Martin Memorial Health Systems provide complete modern medical care including 24-hour emergency services. Martin Memorial's St. Lucie West Walk-In Clinic is located in the St. Lucie West area. Doctor’s offices and Physical Therapy located within short distance of community. Want more information about Cascades St Lucie West? Who to Contact for more information about CASCADES St. Lucie West Community? 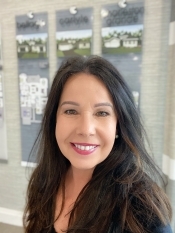 Having the right real estate agent at CASCADES St. Lucie West means having an agent who is committed to helping you buy, sell or rent your home with the highest level of expertise in your local market. This commitment level has helped Bold Real Estate Group build a remarkable track record of delivering results. Thanks for visiting our website www.TheCascadesAtStLucieWest.com If you have registered your contact information to view a home on this site or to request additional information, please note that a community specialist will automatically be contacting you within 24 hours to assist you. Should you wish to cancel your request please forward cancellation request to communityinfo@comcast.net.